AFTER 33 years sitting in a box this piece of cake may not be good enough to eat, but that didn't stop one lucky collector forking out more than £800 for a slice of royal history. The stale sponge is a highly sought after piece of Prince Charles and Princess Diana's 1981 wedding cake and was still appealing enough to be sold at auction in America for $1,375, or £828. The cake, still in its original white and silver presentation box, was sold online Thursday by Nate D. Sanders Auctions of Los Angeles. With the box was a card stating, "With best wishes from Their Royal Highnesses, the Prince & Princess of Wales." Click link for full post from EXPESS. 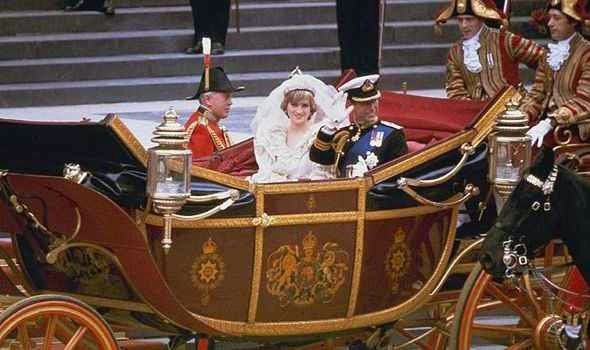 Semoga artikel Prince Charles and Princess Diana's 1981 Wedding Cake Sells for $1,375 bermanfaat bagi Anda. Jika kamu suka dengan artikel Prince Charles and Princess Diana's 1981 Wedding Cake Sells for $1,375 ini, like dan bagikan ketemanmu.